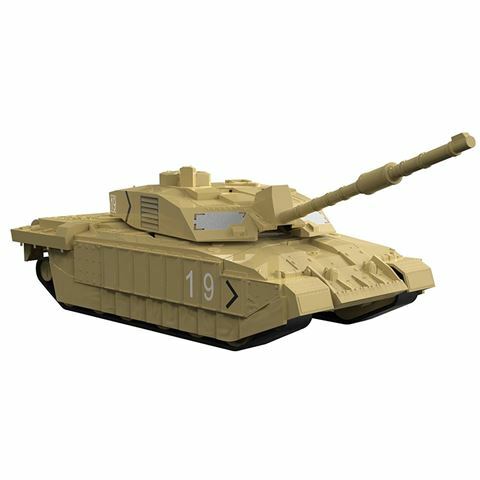 All you need is the Quick Build Challenger Tank by Airfix to construct a little piece of history that fits right on your shelf at home, or in the palm of your hand. These authentic replicas are made from interlocking plastic parts, which makes them simple for those little hands to construct. Each build-your-own model is presented in a handy box which contains thirty-five pieces. No glue or paint is required - simply push the pieces together to bring life to this exceptional piece of history. With step-by-step instructions so that you don’t get lost along the way, you can get your child away from their anti-social gadgets and gizmos and give them something that will both exercise their little noggins, and entertain them for hours! Recommended for children aged five years and up. Crafted from durable, interlocking plastic. Comes with Union Jack stickers. No glue or paint required – just build. Presented in an Airfix box. Box Dimensions: 23cm (l) x 15cm (h) x 5cm (w).